With the White House and Congress trying to bridge the gap between what they spend and what they take in, many changes could be coming to our tax code including adjusting some long standing deductions. Our country's beloved mortgage interest tax deduction (MID) is being threatened as we approach the "fiscal cliff." This deduction has been a part of our tax code since 1913 and changes in it could alter long held homeowner and home buyer mindset when purchasing their home. With our housing market just now showing signs of recovery from "The Great Recession", a change or elimination of the MID would only drive up the cost of home-ownership and set back the recovery. 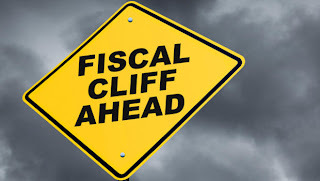 Although no specific legislation has been introduced, the common consensus among economists and political pundits is that the MID will be on the negotiating table to bridge the debt gap. President Obama's proposal is to limit the total amount of principal eligible for deduction from $1,000,000 to $500,000 as well as making second homes no longer eligible. These are two limitations that directly effect real estate in the Vail Valley with our average home prices being around $850,000, and the percentage of second homeowners staying around 50%. Because of our market it is more important than ever to protect our MID. Please contact your Senators and Congresspeople by clicking the link below to send a letter. This call to action will only take 30 seconds but will have a lasting effect on making the goal of home-ownership a possibility for future generations. Please contact me with any questions on the MID or other real estate questions you may have. Enjoy the snow!